Pahang Menteri Besar Adnan Yaakob revealed that the coming generation election will regard as referendum of the Lynas issue by Kuantan parliament seat voters. 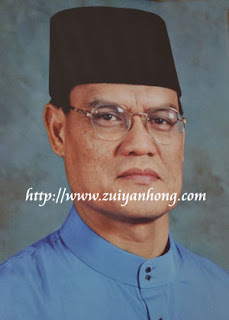 He added arrogantly that he will cut off his ears and jump into the Pahang River if Barisan Nasional loses in Bentong parliament seat. Beyond that, MCA should dismiss nationwide and vanish in Malaysia political arena. As Adnan Yaakob wants to slice his ears and plunge into the river, Bentong voters who had been cheated for more than fifty years why not fulfill his wish? Fully support Pakatan Rakyat candidate not only in keeping with the desire of Adnan Yaakob but also give a great surprise to the incompetent MCA. Meanwhile, Kuantan parliament voters must reject Barisan Nasional to protest the setup of Lynas Advanced Materials Plant in Gebeng, Kuantan. Malaysians have to elect a new government wisely in the next generation for a better tomorrow.